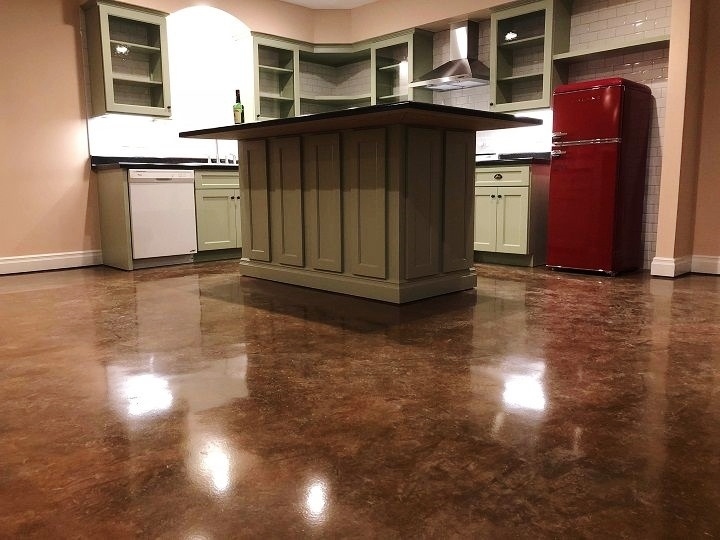 One of the main reasons why concrete is such a hit among contractors, homeowners, architects, and even designers is its versatility. Where can you ever find a material that can be customized as much as this? 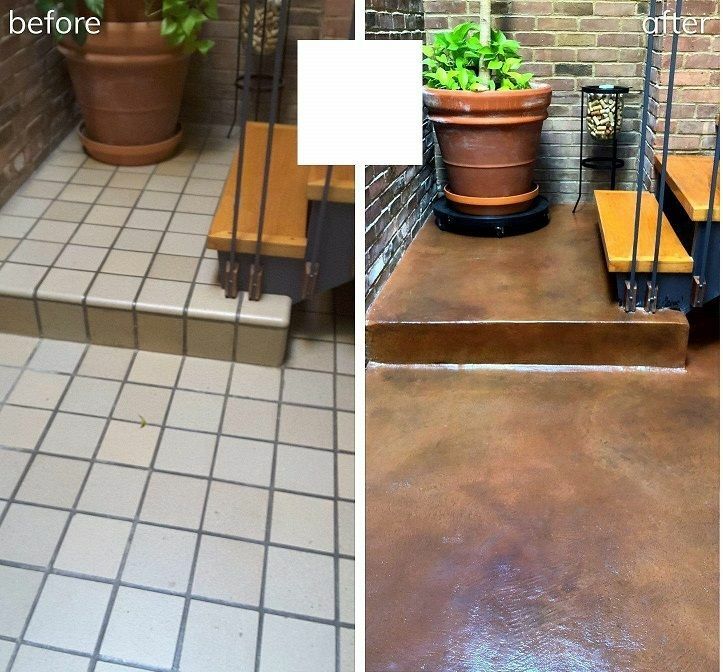 Concrete staining is yet another proof that such material can be more luxurious than its raw, gray appearance. 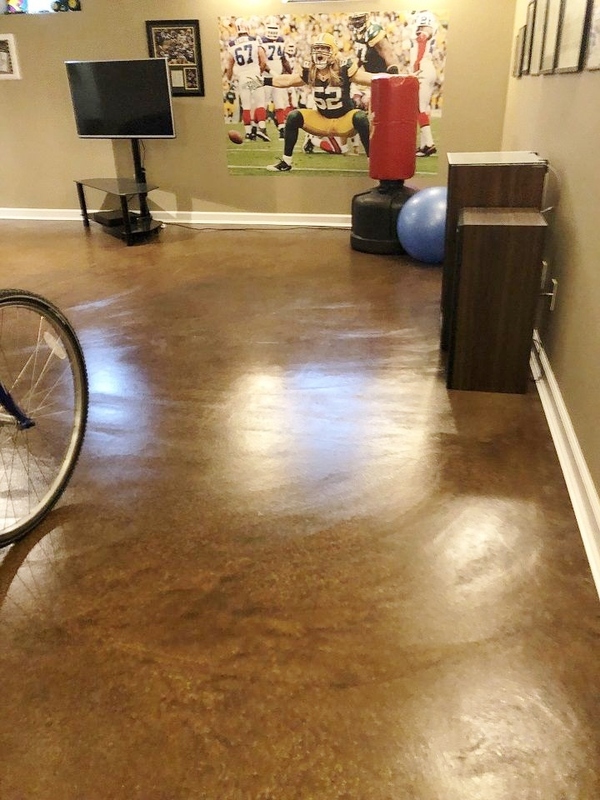 Acid Stain –– This is a reactive stain that creates random effects once its metallic salt content comes in contact with the natural lime content of the slab. 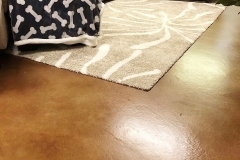 Because all slab mixtures are different, there are not two acid stained concrete floors that look exactly the same. 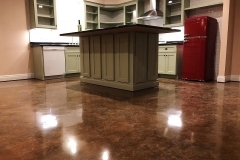 This type of stain penetrates deep into the slab, making it impossible to fade, peel, or even flake off. 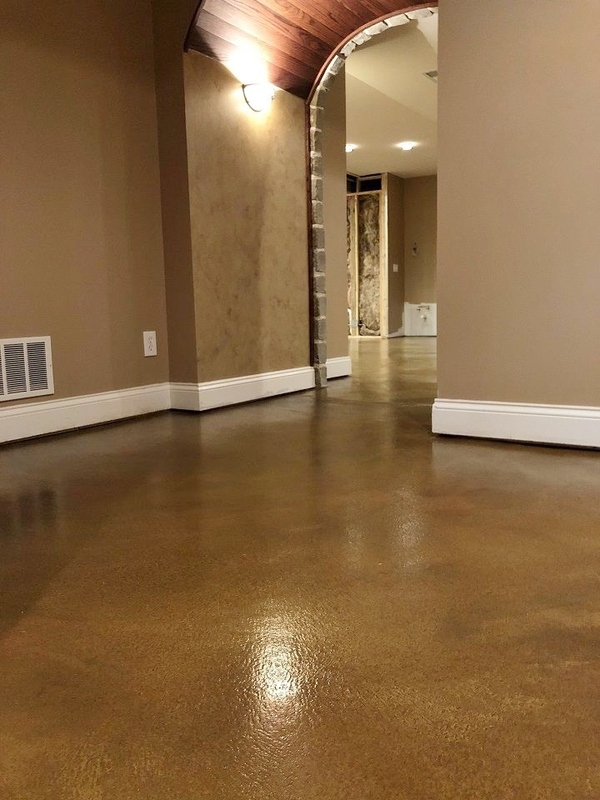 Water-based Stain – – As the name suggests, this stain does not contain anything that would cause a chemical reaction when it comes in contact with the slab. 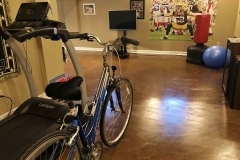 It produces more uniform stained concrete colors, making it an ideal choice for those who want a specific design. Color Choices – – Property owners can choose from a wide range of colors. Acid stains are available in earthy tones, including reds and blue-greens. Water-based has a wider selection of colors. Different colors can be mixed and matched to create new, interesting ones perfect for any concrete patio ideas. Heat-Resistant – – Compared to other coloring methods, stains are more resistant to fading. 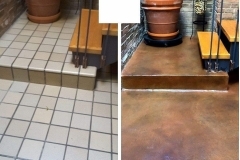 It penetrates the slab which is why it is ideal for staining old surfaces indoors or out. Versatile – – Stains can be used indoors or out. 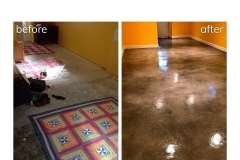 It can be used on old, newly-resurfaced spaces, or newly poured slabs. Just make sure to stain new slabs only after it has cured for a month. Economical – – Ugly stains and discolored slabs are huge eyesores. 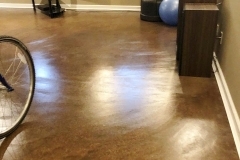 Concrete staining is not only an easy solution but a more affordable one, too. It restores the aesthetics while restoring the slab. 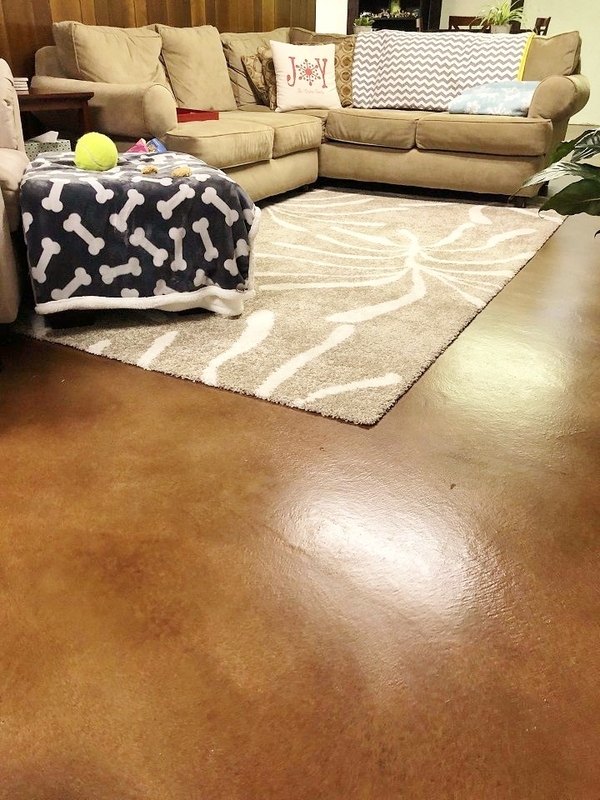 Tired of ugly or plain gray concrete? Call us to learn more about our water-based & acid staining solutions. There are a wide range of colors out there ready to make a difference in our lives, so why settle with plain gray? 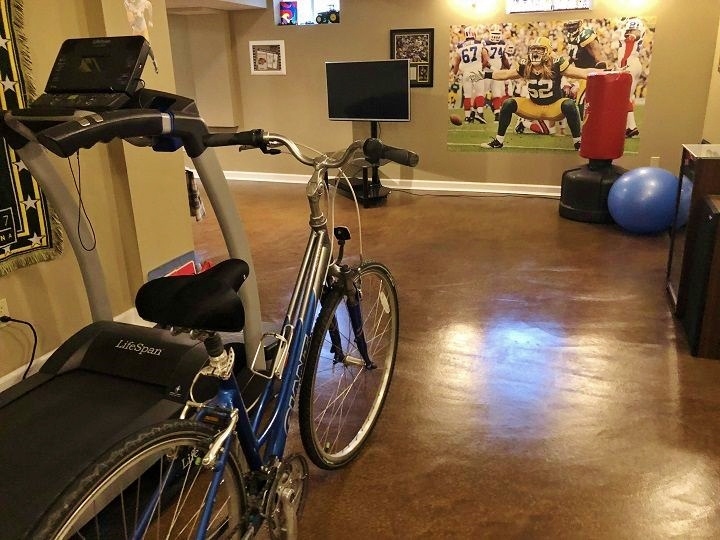 We at Chicago Concrete Resurfacing believes that colors play a huge role in our lives so we made sure that every slab we refinish matches or complements the rest of the space. 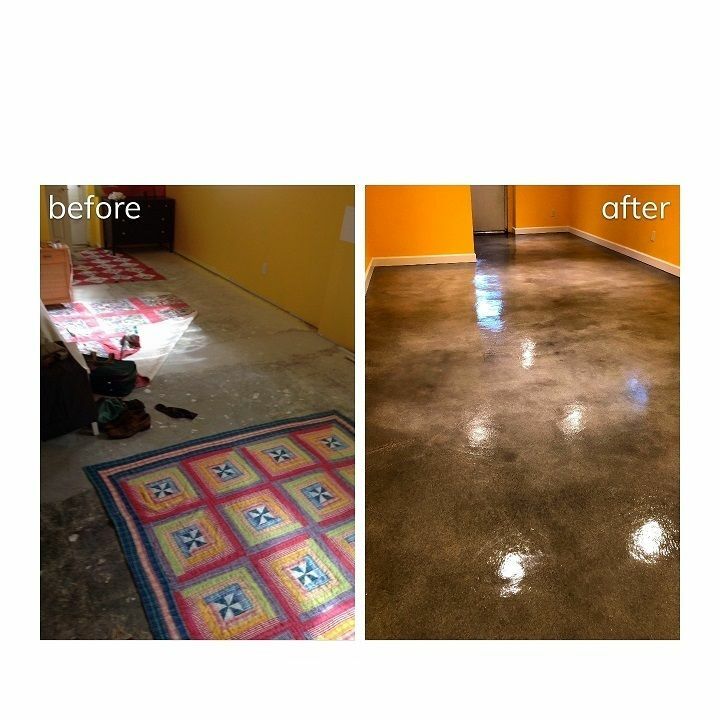 We are a licensed decorative concrete contractor with over 20 years of professional experience in resurfacing, refinishing, and repairing surfaces like patios, pool decks, interior floors, and more. 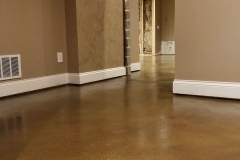 Need to know about your concrete stain color options? Call (773)377-8976 or email us now and let’s discuss further. We’ll also give you a free quote!